Most men know how critical it is to build a team around him but very few men invest the time, energy, and resources into building one. Today I talk about why a team is so important and share five strategies for building a powerful group of men who will help you succeed. As I brought this topic up in our Facebook Group, I was surprised by how many men dismissed the idea of working with a team of men. A lot of the men commented that they work best alone. While I can certainly see the appeal in that, I don’t believe that’s the case. I believe that’s a position of arrogance, ego, and pride. I know in my own life (and I’m only speaking from personal experience) that I can not possibly grow to the level I have a desire to grow to without the help and support from a team. This is why I hire coaches. This is why I surround myself with good people. This is why I go to industry conferences. The more I surround myself with other high achieving men, the more I’m able to achieve in my own life – not through osmosis, but through the power of proximity to other men. When they find a woman, for example, and start having a family, the first thing to go is the relationships with the buddies. As much as I can see the value in going to work and being available for your family, there is so much value in banding with other men. Today I’ll share with you why this is so important and why I think we ought to be careful of living as the “lone wolf.” I’ll also share with you five strategies in regards to how you can build your own team of high-achieving men. But before I get into that, please understand that building a team has nothing to do with not being self-sufficient. Self-sufficiency and building a team are not mutually exclusive. You do both. You can learn to be self sufficient. You can learn to stand on your own two feet and, at the same time, learn to be a team player and build out a team that’s going to help you accomplish your objectives. I’m not suggesting that by building a team that you should weaken your position by relying solely on other people. I am, however, suggesting that other people can help you progress much more quickly and efficiently. Another benefit of having a sounding board is that we could get ourselves into a situation where we have to make a choice about a career path or how to raise our children, for example. Having another set of ears could really be beneficial as we decide which path to take. You cannot do everything that you want on your own. You can attempt to do it. And, frankly, you might even have some success but it’s not as effective as it could be if you would learn how to humble yourself enough to accept help from other people. It’s not just about accepting help from anybody. It’s accepting help from those men who are achieving what you want to achieve. They’re the type of fathers that you want to be. They’re the type of business owners or community leaders, or husbands that you have aspirations of being like. If you can surround yourself with those people, then you’re going to have the moral, emotional, and physical support you need in order to accomplish your greatest objectives. When you have strong men surrounding you, you’re going to expand the way you think about things. See, we create these boxes in our lives, and those boxes are based on our own experience, cultures, backgrounds, and the scripts we live by. The only way to tear down the walls that we have created is to expose ourselves to new information. That’s why, when you find a worthy band of brothers to work alongside you, you expand your capacity for growth. In turn, you’re going to see greater results than you previously even thought possible or even recognized were available to you. There are times where I want to slack off, disengage, coast, and take it easy. But I’ve got men in my life who are holding me accountable. 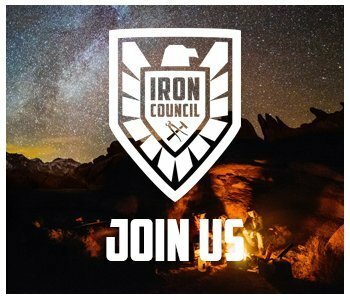 Part of that is through our brotherhood, the Iron Council. I’ve got coaches. I’ve got mentors. I’ve got people that are informally mentoring me that I aspire to be like and look up to. All of these individuals help give me the accountability that I need to do the things that I’ve identified as being important to me. 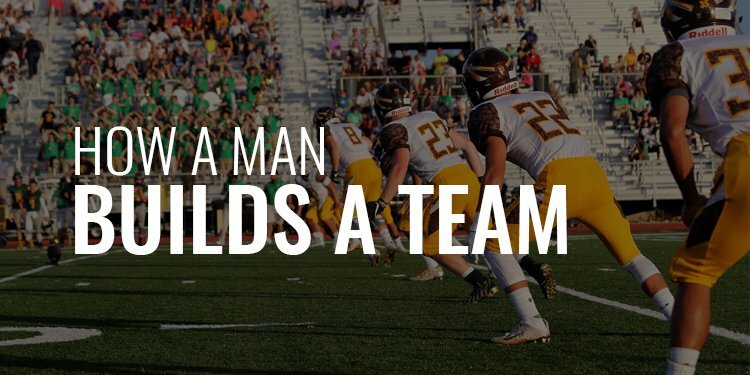 A lot of guys will say, “I really understand the importance of building a team. I know I need to have good men around me but I can’t really find anybody or there are no men meeting in my area.” This is a very passive way of looking at it. If this is you, essentially you’re suggesting that if only somebody else would do it, then you would tap into what they’re making or what they’ve created, and all would be well. If you want to create a team – a powerful team – of men to help you and them succeed and thrive, you’re going to have to lead the way. You’re going to have to put something together. You’re going to be the one who is out recruiting. You’re going to be the one who is organizing events, conversations, and activities. You have to be the one to lead the way. And look, when you start, people aren’t going to show up right away. It’s going to take time. It’s going to take commitment. Years ago, and friend and I wanted to start a men’s basketball game every Tuesday night. We would show up at 9:00 PM every Tuesday. Initially, we would have one, two, or three guys show up. It took a really long time to build up steam. It probably took 8 – 10 weeks of me and my friend showing up every single Tuesday night at the same time before people got the picture that we were serious about doing this. Once men saw that we were serious, we began to have too many guys show up. We’d have 20 guys show up for basketball night. They will show up if you’re consistent. Do not be passive on this and wait for somebody else to get something set up. It’s on you to establishing something. Once you do, people will come to you. There are people you know – brothers, cousins, fathers, relatives, friends, coworkers – who could potentially make great members of your team. Ask yourself, who you work out with, who you know, and who in your family could be a strong member of your brotherhood. You probably haven’t looked at that at this point because it hasn’t been on your mind. Now that it’s on your mind, write names down. Now, you have people to invite to the game, guy’s night, fight night, a golf outing, or a camping trip. Inventory who is in your inner circle and who could potentially step up to a different level, in a different way, and include them in your band of brothers. This weekend, for example, I’m going to spend some time with my wife and two friends and their wives. They’re in my inner circle but I’d like to get to know them better so I’ve initiated an opportunity to do that. You don’t have everything figured out. There are gaps and weaknesses in your life If you recognize, for example, that you’re weak in regards to physical fitness, that’s a gap. You need to fill that gap. You need to consider bringing somebody in who’s physically fit, who has his health in order and in check because this is somebody who’s going to add value to your life. A great place to find that person would be at the gym. Another example from my personal life is when I started my financial planning practice. I really struggled. Especially the first couple years. I had no idea what I was doing. I had no idea how to sell, how to market, how to get appointments, or how to convert appointments. I just didn’t have any idea of what I was doing. It was extremely frustrating. Before I threw in the towel, I recognized that there were two advisors in my office who were perpetually producing. They were succeeding. They were booking appointments. They were making sales. They were growing their practices. They were generating revenue. They were securing assets. I knew I needed their help but I didn’t want to tell these guys that I didn’t have it figured out. But, I didn’t want to quit either. So, I did the only thing that I knew how to do at that point. I approached each of them and asked, “Can I take you to lunch and talk about the business?” Both of them said yes. As we sat down over lunch, they gave me a few tips and suggestions. Eventually, I started partnering with these guys, bringing them in on client appointments, and sharing revenue with them. Long story short, without my ability to recognize what I needed and, in humility, ask somebody else for help, I would have never thrived in my financial planning practice. From that day, my business took off. That’s in large part because I had a team of other advisors who were successful and wanted to help me be successful as well. If you’ve identified a gap in health, business, as a father, a husband, or a coach, you now need to go where men are successful in these areas. If you struggle with fitness, you need to go to the gym. If you struggle with business, you need to get involved in the Chamber of Commerce. You need to go where these men are, and start recruiting outside of your circle. This is probably the most challenging one for men because we a hard time letting go of our pride. But if you want to succeed, you have to humble yourself enough to put yourself in uncomfortable situations. It’s never comfortable doing something outside of your comfort zone. That’s why it’s called a “comfort zone. It’s never comfortable asking for help because, as a man, you’re supposed to have it figured out. And, if you don’t have it figured out, somehow you begin to believe that you’re less of a man. No, it simply means you never learned it. So, go out and learn it. and enlist the help of your dad, friend, colleague, coworker, and/or stranger. It’s okay to go out into the world and identify that other people know more than you. Reach out to that person. What’s the worst they’re going to say? “No, not interested” or just brush you off. Okay, well, you aren’t any worse off than you were before. You just need to find somebody else who could potentially fit into your team. Start looking at people outside of your circle. Then, find ways to engage. Find ways to go where they go. Find ways to help them win. 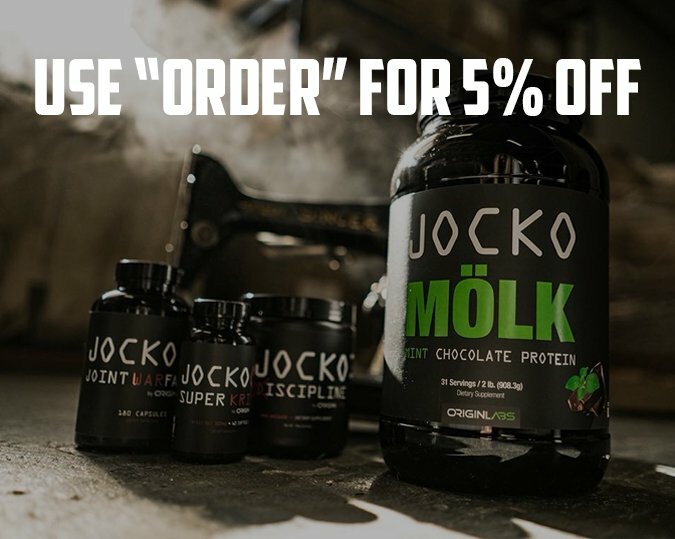 Find ways to buy their products. A lot of people ask me how I’ve been able to connect with guys like Andy Frisella, Tim Kennedy, Jocko Willink, and Grant Cardone. Very simply, I help them when. I invest in them. I invest my time, energy and resources in them. You can do the same thing. I’m not special. I’m not particularly talented or gifted when it comes to connecting. I’m not ultra-wealthy. It’s just that I am willing to let go of my pride enough to reach, help other people win, and ask for help. Now that you’ve identified people to enlist, you’ve got to test these individuals. When I say this, I’m talking about testing whether or not they’re on the same page as you. You might identify some people who can really help you thrive and succeed – and you can help them thrive and succeed – but for whatever reason, they’re just not interested. Maybe they’re at a different level. I’ve had people, for example, who I’ve reached out to, who are on a different level when it comes to their business acumen who have completely brushed me off. I used to let that get to me. I try not to let that get to me now because I realize these people are busy. They have their own lives. They probably got so many demands for their time. I just write it off as, for whatever reason, they’re not interested in the same thing that I am. I don’t take that personally. I just recognize that this just isn’t a good fit. It’s not a good fit for them. It certainly isn’t a good fit for me. I check that individual off the list, and I move on to somebody who potentially is more interested, I could help a little bit better, or there’s a better fit. You’ve got to find out who is really interested in being on your team. You can do this by asking questions. You can do this by talking about higher-level conversations as opposed to the weather or the baseball game last night. Really start asking questions. Really start having some of these deeper conversations. You’ll quickly find out who’s interested and who isn’t. From there, you can act accordingly. At the end of the day, you just got to go out there and experiment. When I started Order Of Man, my goal was to create a movement that would help bridge the gap between what we as men know and what we actually do. You can listen to our podcast and every other podcast in the world. You can read every book that I ever recommend. You can go to every conference, seminar, and event. You could do all of that and yet, get nowhere. It’s like running on a treadmill – you’re running, and running, and running and you feel like you’re “doing the work” but getting nowhere. Again, you’ve got experiment. You’ve got to test. You’ve got to see what works. You’ve got to put yourself out there. You’ve got to drop the pride. You’ve got to invest some time and energy. You’ve got to lead the way and be consistent. This not an easy process. It’s not. It’s not going to fall in your lap. But it shouldn’t because, if it did, you wouldn’t appreciate it the way that I appreciate my team. I’ve worked my tail off to ensure that I have the right men in my circle that I can help win and, in turn, will help me win at a level I never thought possible. That’s how I’ve been able to build this movement. That’s how I’ve been able to get in shape. That’s how I’ve been able to be a better father, husband, and man. I used to think that I could go at it alone. I could, and you could too. Odds are that you would probably create a pretty decent life for yourself. But I’m telling you, exponential results come from building a qualified team of men around you who will help you do big things in your life.